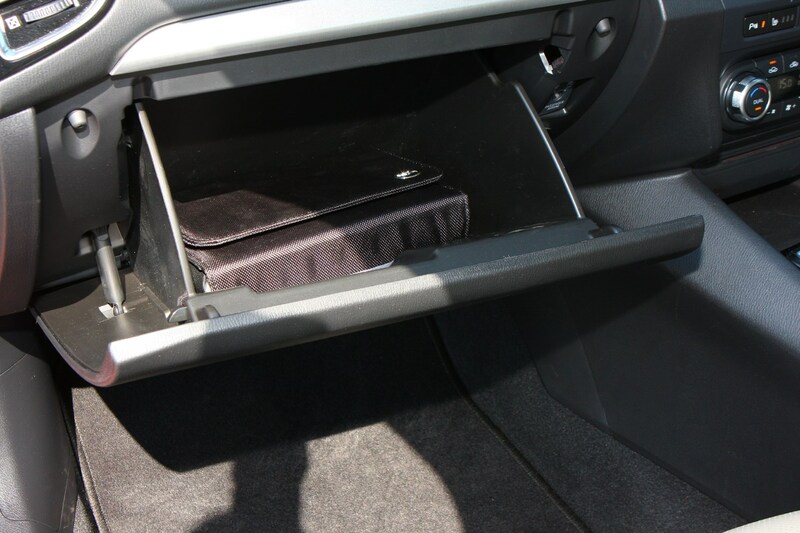 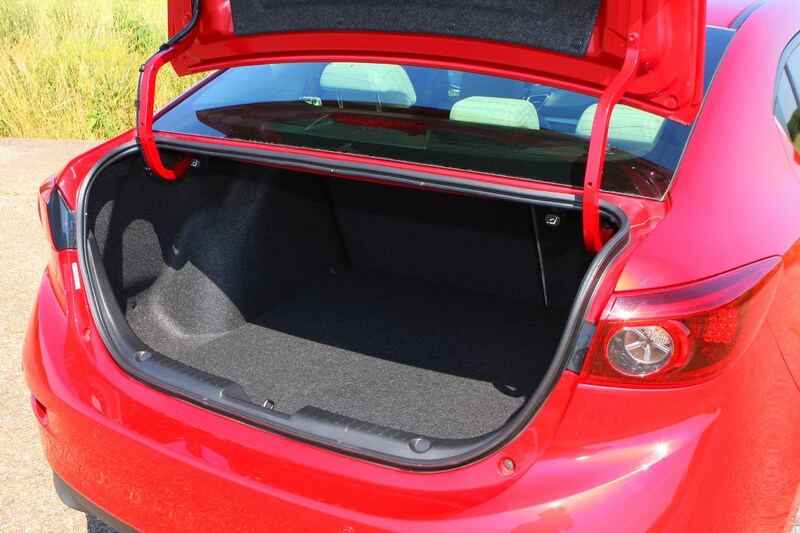 Looks good at the expense of hatchback's practicality. 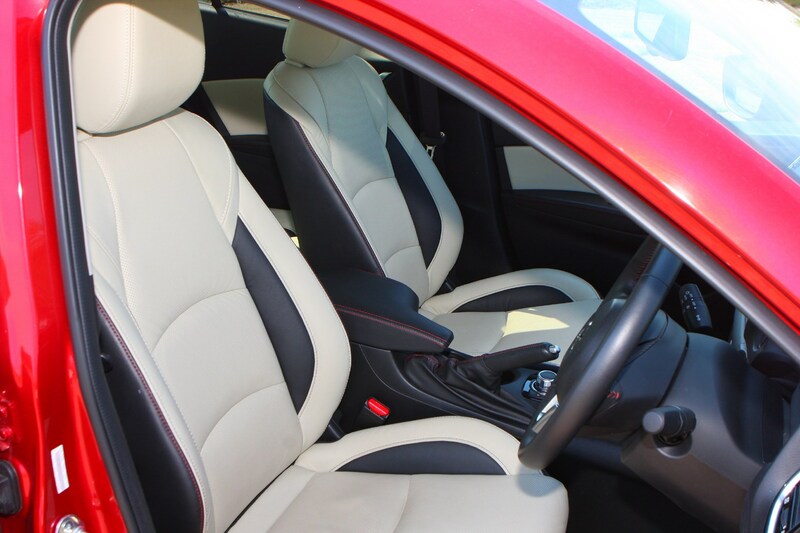 Insurance group: 13 - 24 How much is it to insure? 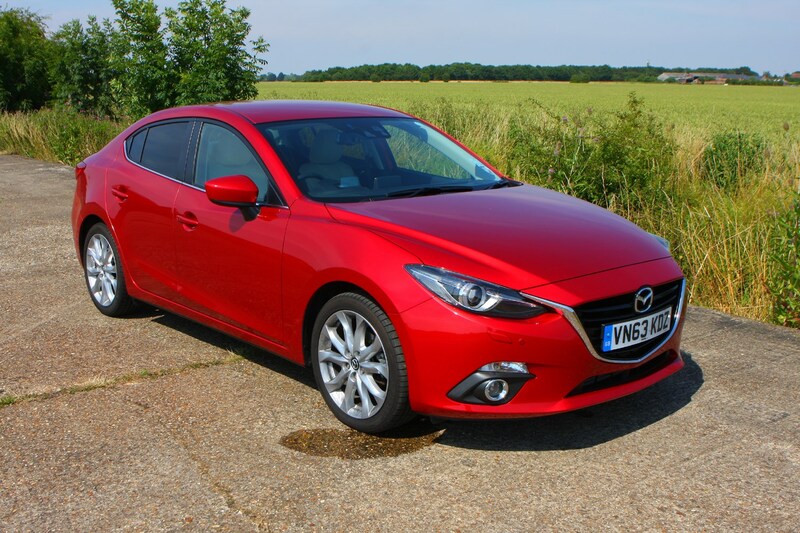 Mid-sized saloons are something of a dying breed in the UK as buyers increasingly favour SUVs, which makes the decision to offer the Mazda 3 Fastback to a British audience all the more curious. 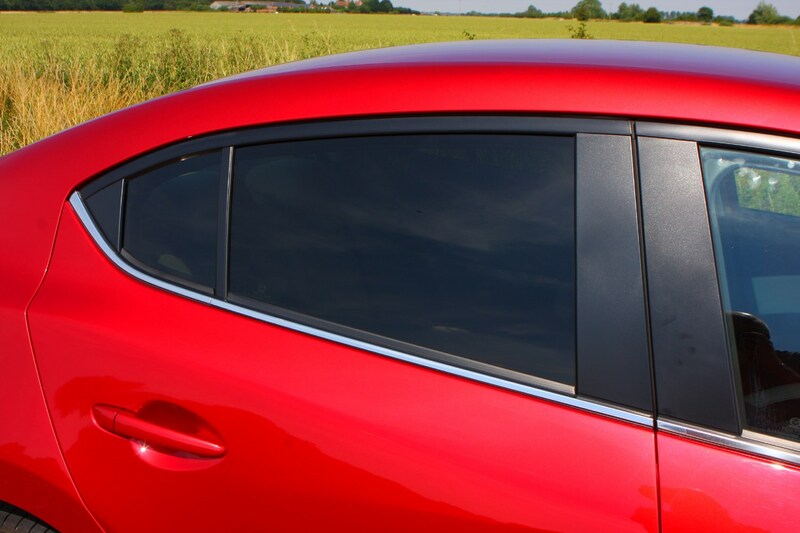 There’s an undeniable elegance to the 3 Fastback’s lines, which stylistically place it mid-way between its more traditionally-shaped rivals in the form of the Audi A3 Saloon and Volkswagen Jetta, with the four-door coupe Mercedes-Benz CLA at the other end of the svelte spectrum. 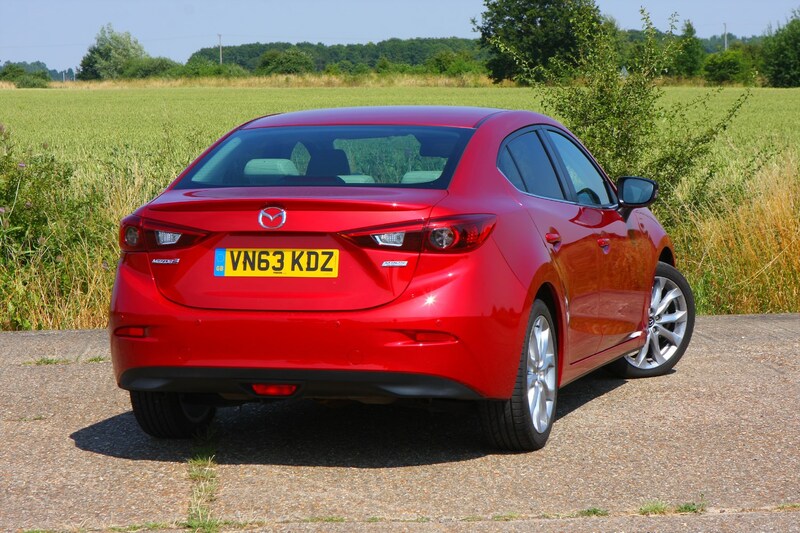 If you’re hoping to compare it with a contemporary booted saloon from Ford, Vauxhall or all manner of other manufacturers, then we’ve bad news: there aren’t any other options, in Britain, at least. 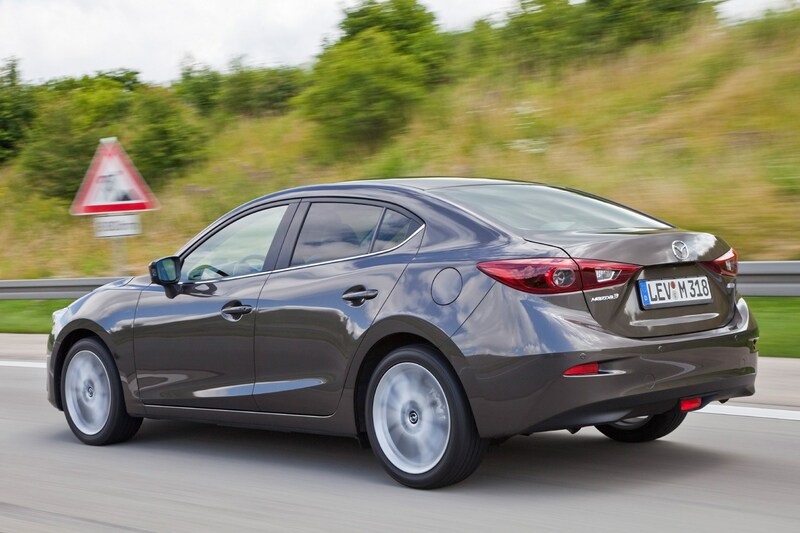 Inevitably there’s much swoopiness about the way the Mazda 3 Fastback looks, it being another exponent of the Kodo design language seen across the brand’s line-up. 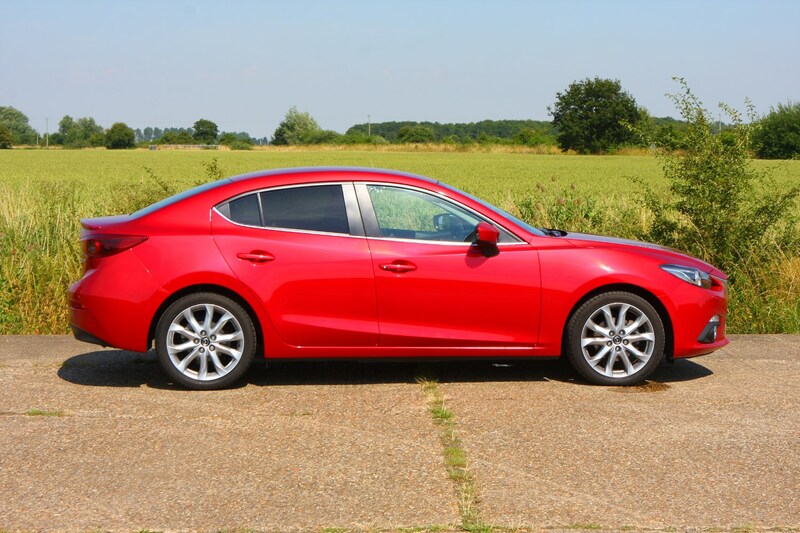 As well as being smaller, it looks sportier than the larger Mazda 6 Saloon and also manages not to look simply like a Mazda 3 Hatchback with a boot tacked on the back as an afterthought. 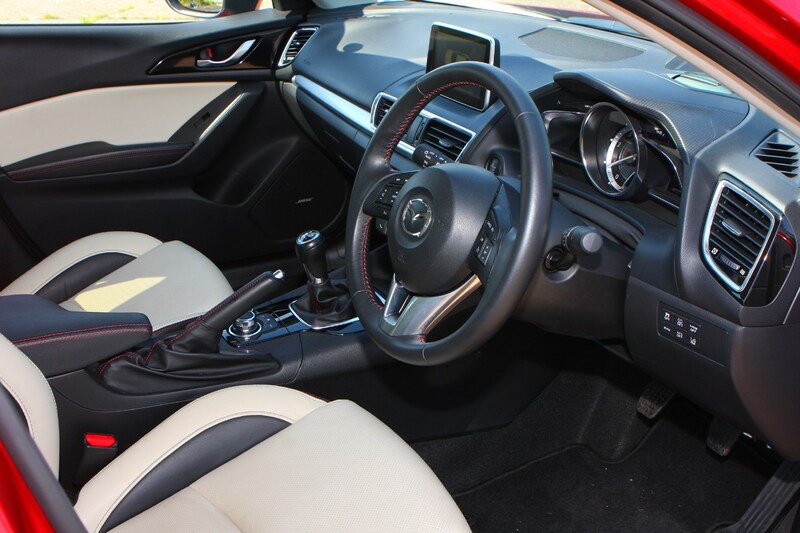 Disappointingly, the interior lacks the bodywork’s flair. 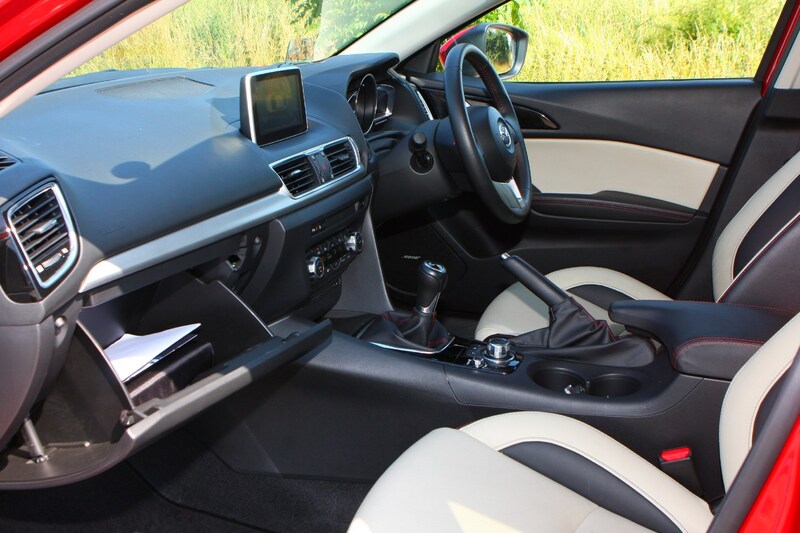 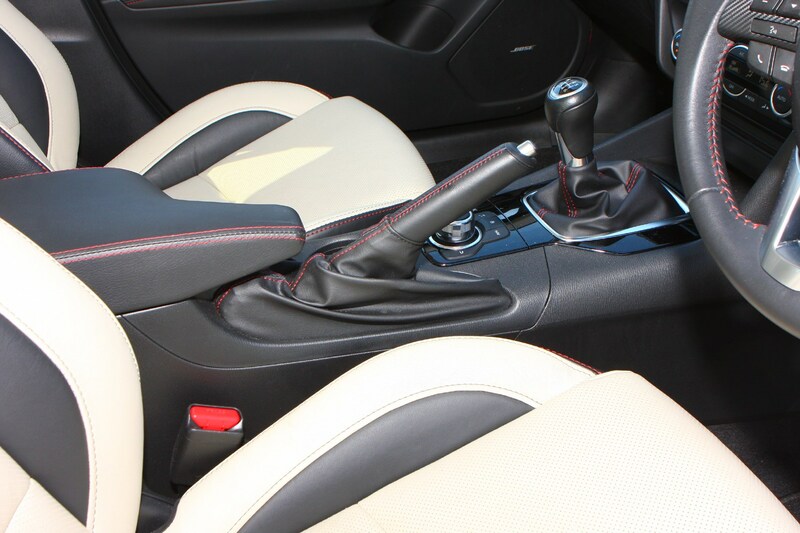 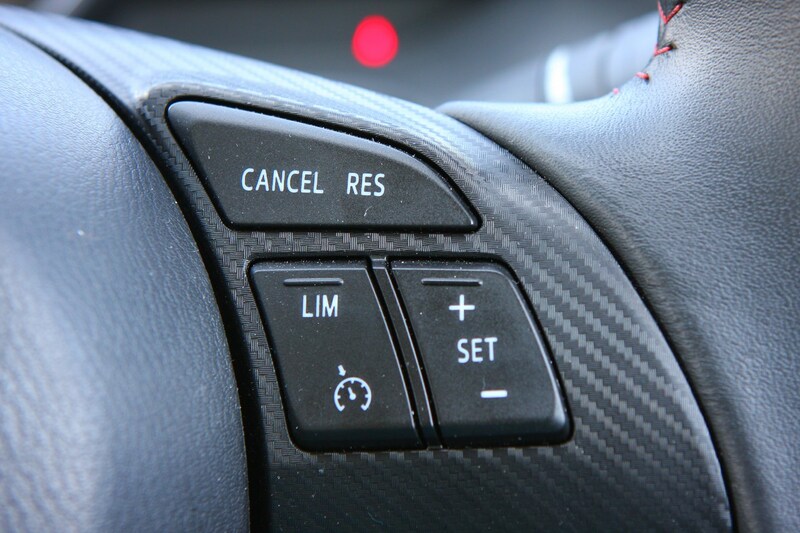 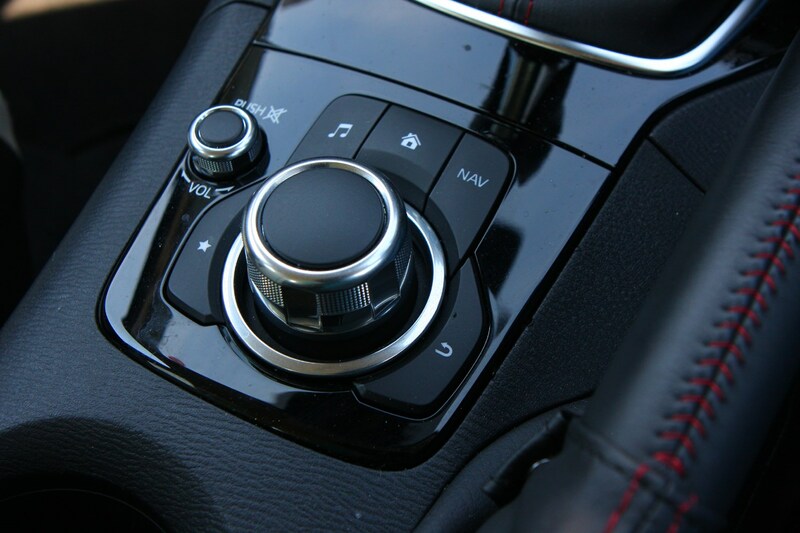 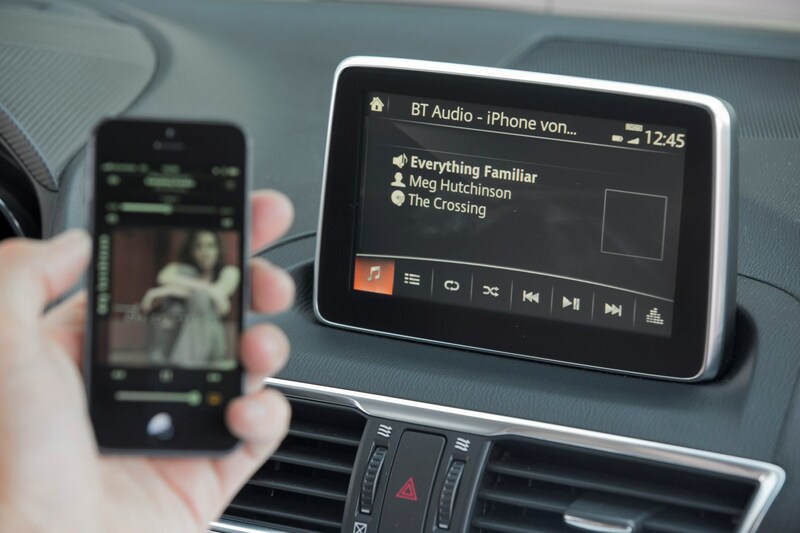 It’s well assembled, although the positioning of some of the switchgear, in particular the controls for the infotainment system located down by the gearlever, take longer to familiarise oneself with. 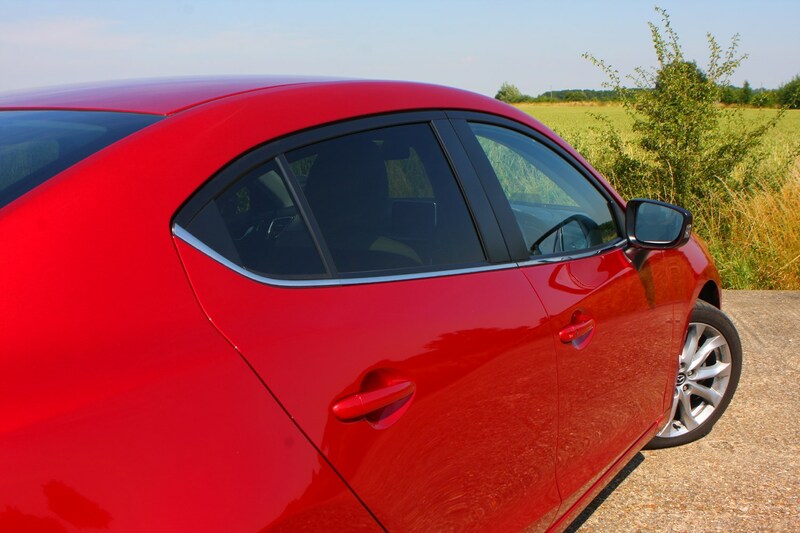 Mazda claims the Fastback’s cabin is more capacious than the previous-generation 3 saloon’s but it still feels tighter in the back than the Jetta, particularly in terms of legroom. 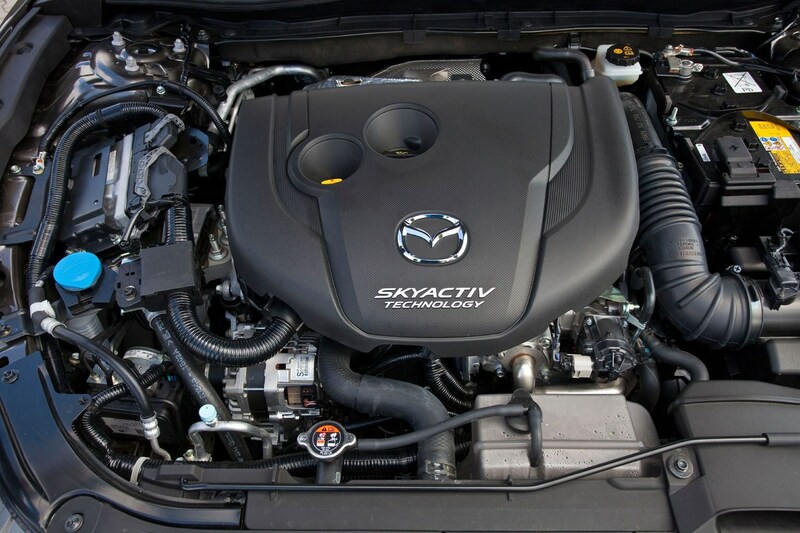 Reflecting Mazda’s conservative sales ambitions for the 3 Fastback, there isn’t a particularly wide range of powerplants to choose from. 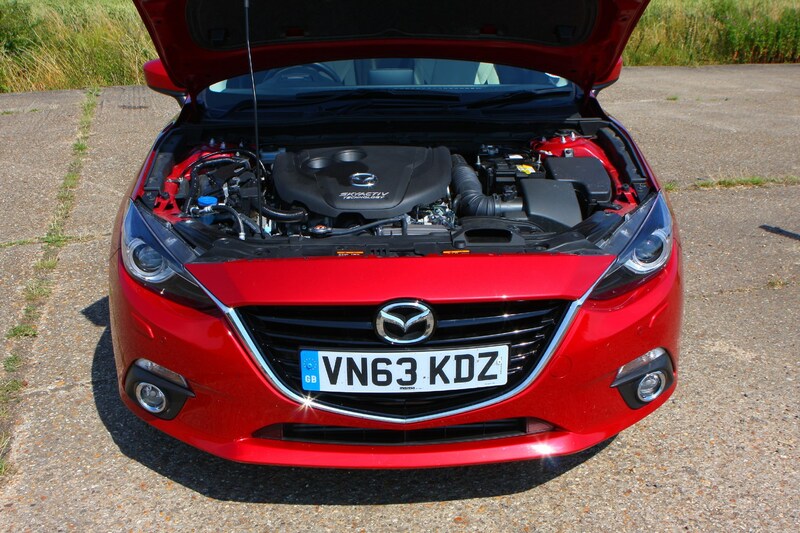 You’re limited to a 118bhp 2-litre petrol, a 104bhp 1.5-litre diesel and, topping the range, a 2.2-litre diesel producing 148bhp. 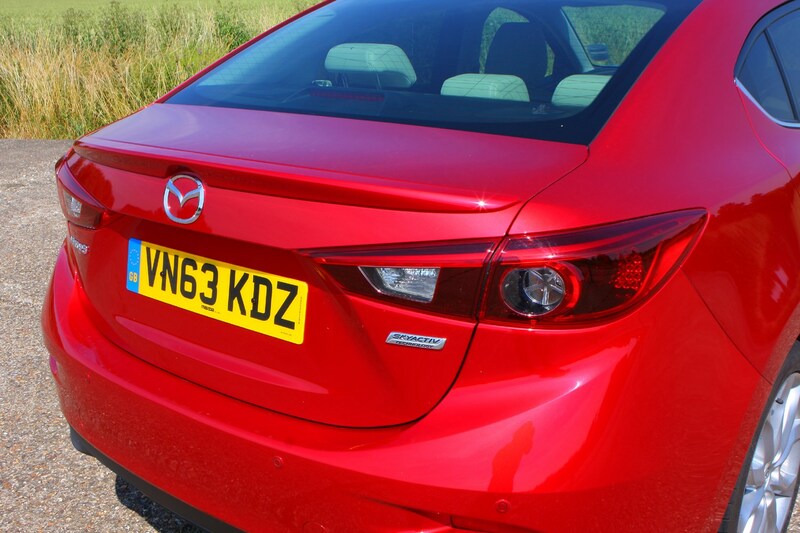 The petrol motor in particular spins engagingly but none really muster the power to sate enthusiastic drivers. 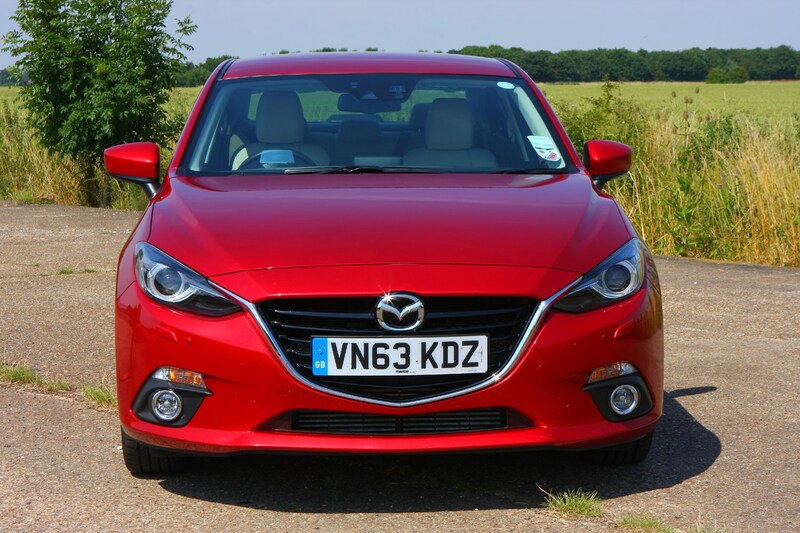 Naturally, it’s the smallest unit with the greatest efficiency claims – Mazda quotes 74mpg and 99g/km of CO2 for the 1.5-litre engine. 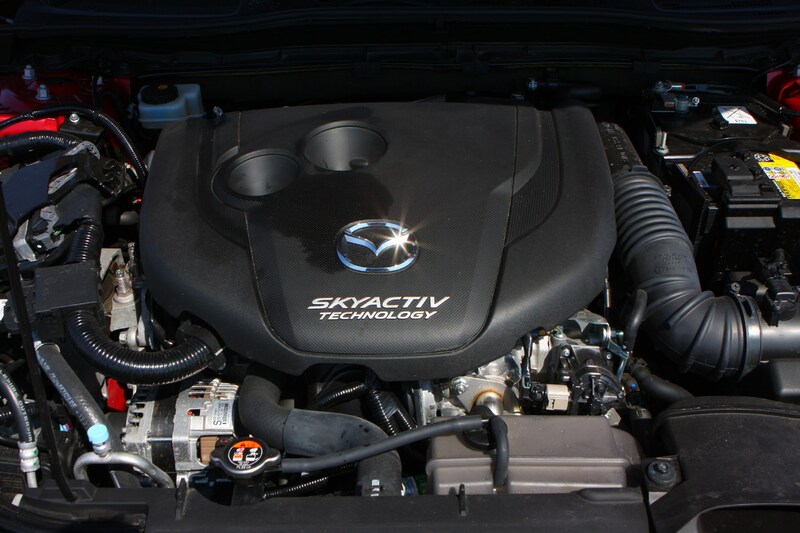 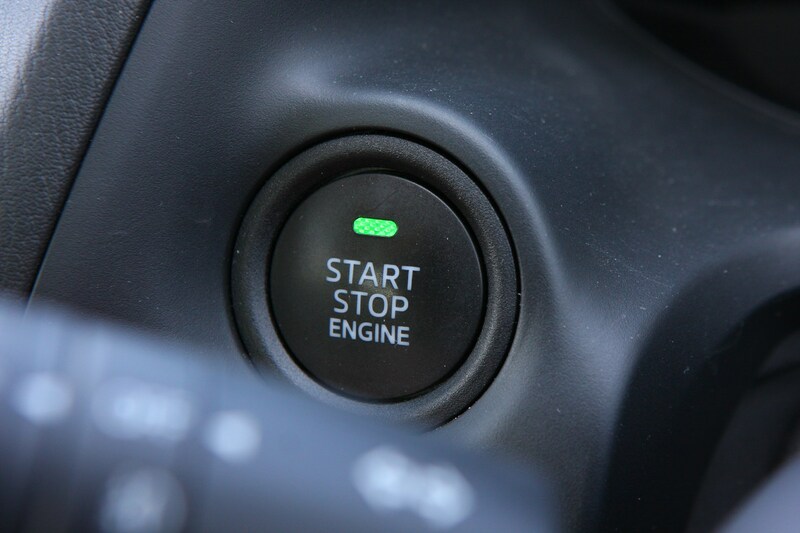 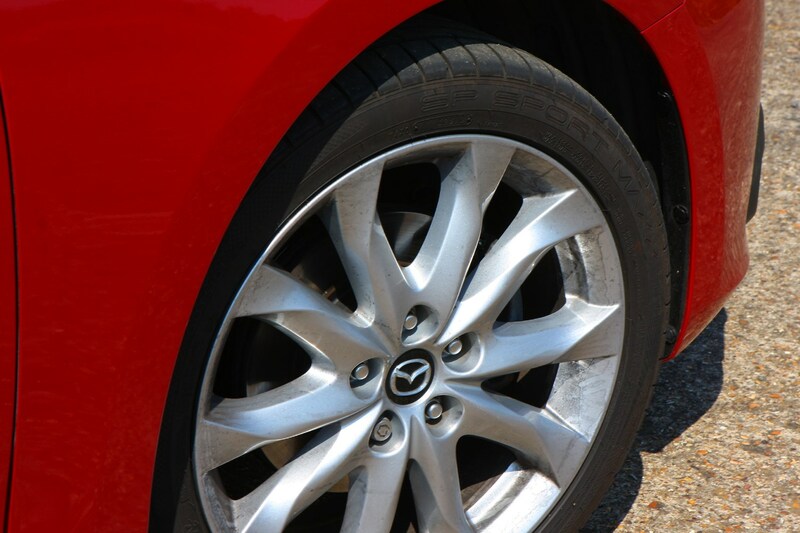 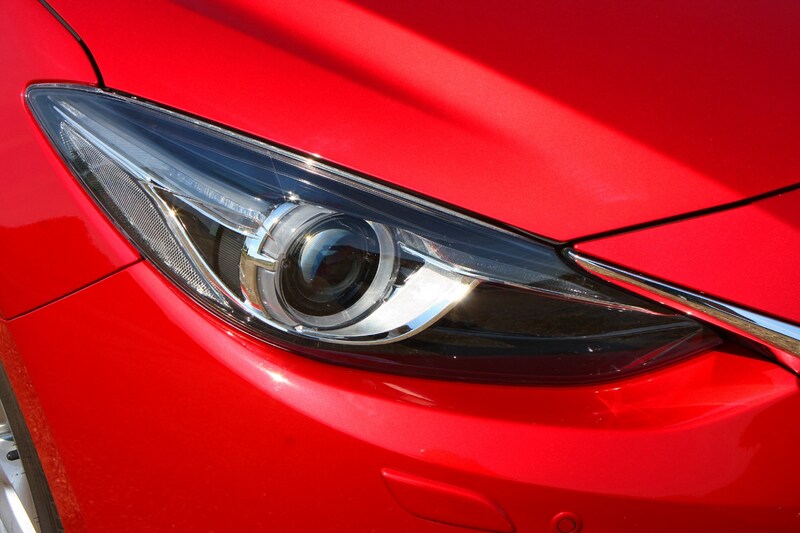 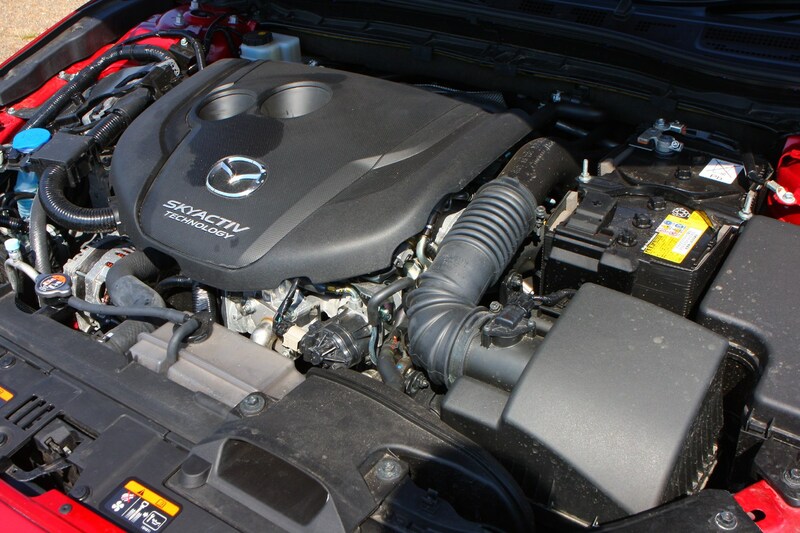 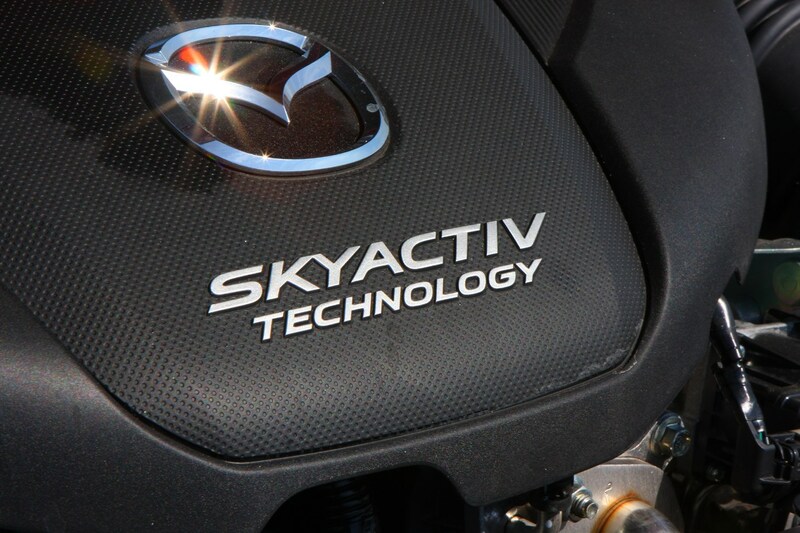 All models benefit from Mazda’s pursuit of what it refers to as SkyActiv technology, essentially meaning that engines, transmissions, the bodywork and its underpinnings are made using advanced production methods and lightweight materials. 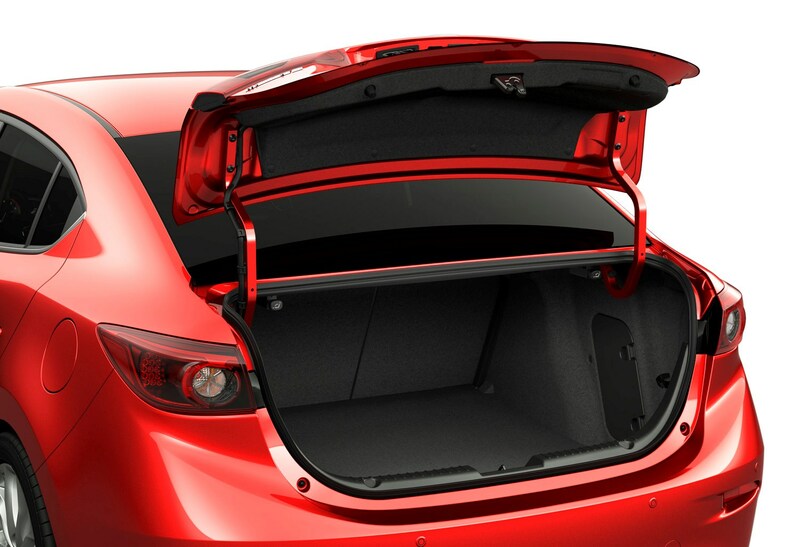 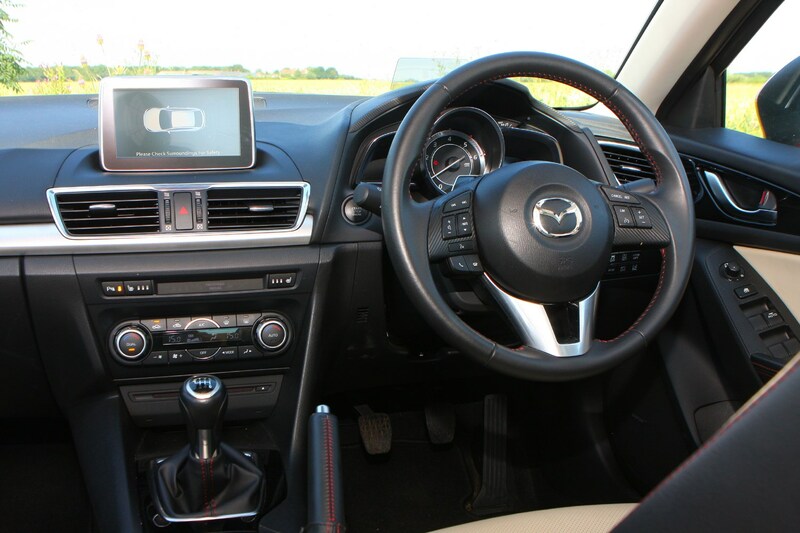 Mirroring the hatchback’s range structure, the Mazda 3 Fastback’s SE, SE Nav, SE-L, SE-L Nav and Sport Nav trim levels are generously appointed, with a raft of features available, that only a few years ago were the preserve of luxury cars. 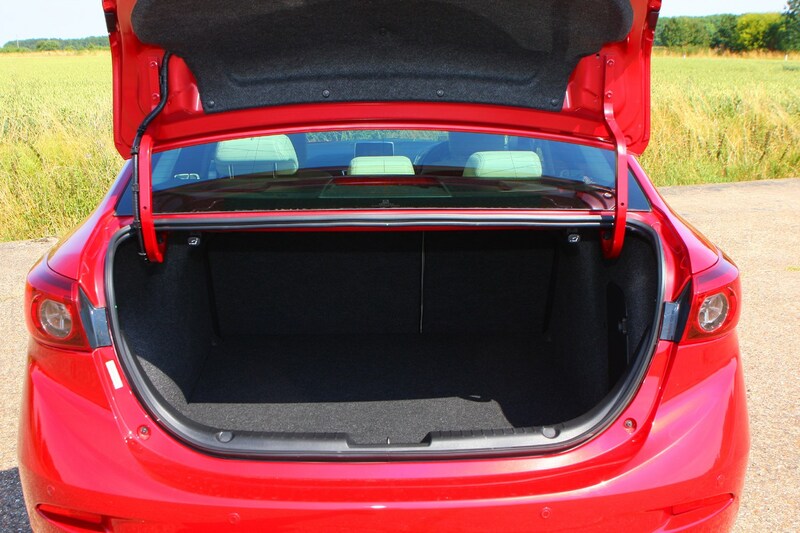 Depending upon where in the Fastback hierarchy you decide to buy into, autonomous emergency low-speed braking, lane departure warning, automatic main beams and adaptive cruise control could be part of the package. 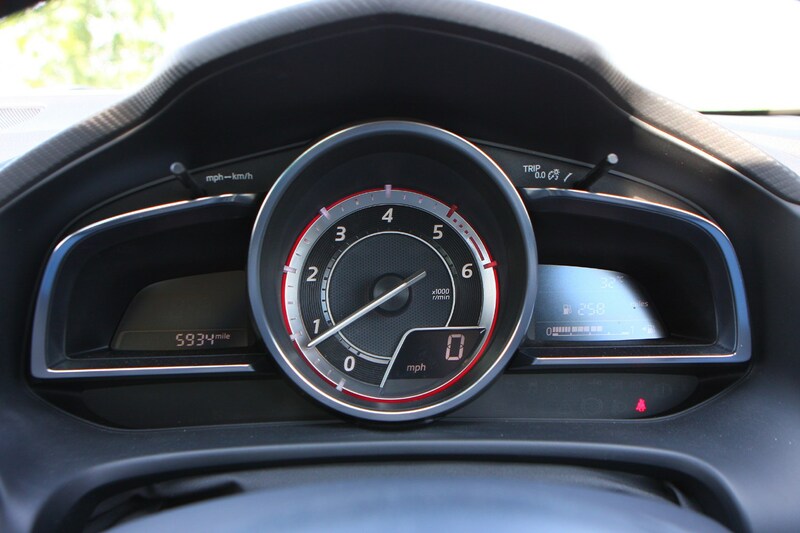 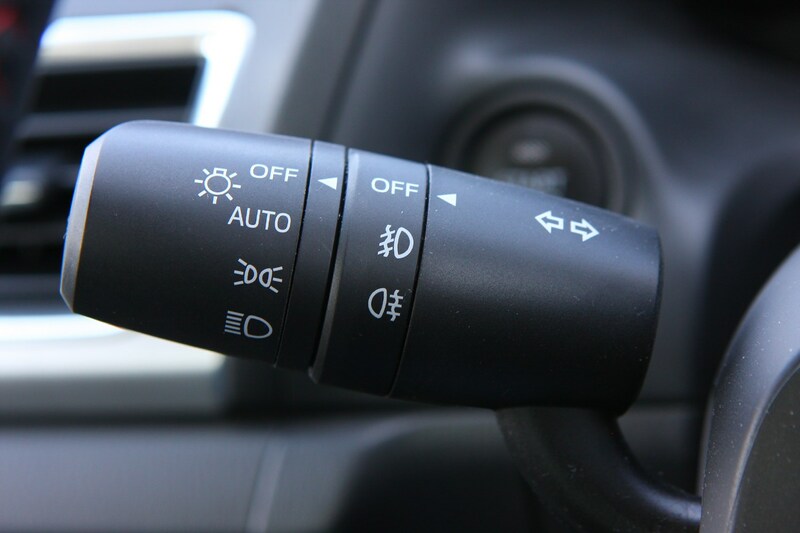 There’s even a head-up display system but it somehow conspires to look like part of a 1980s video game in execution. 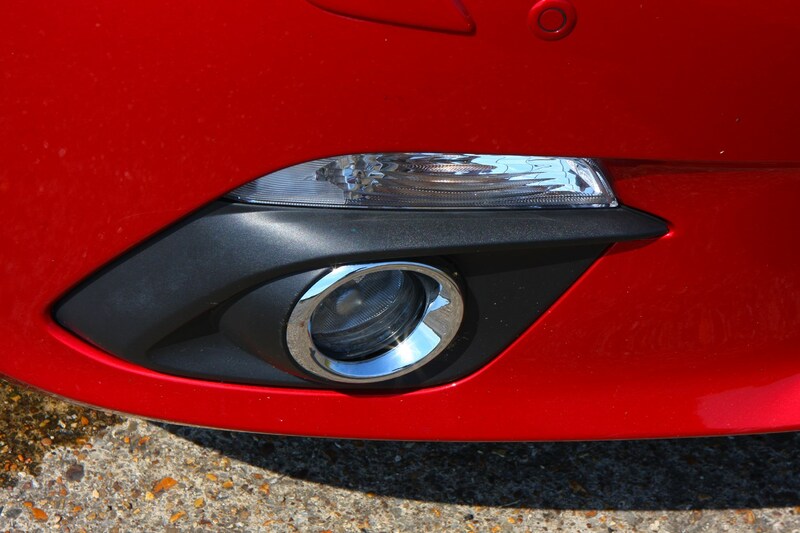 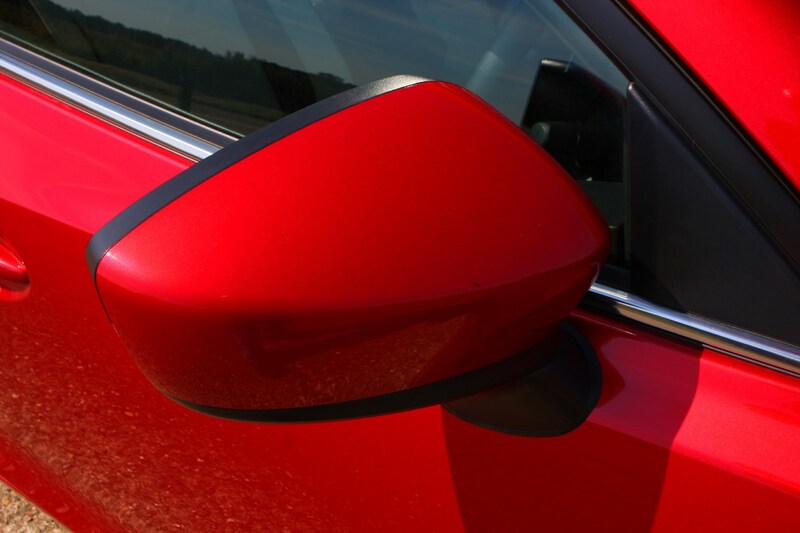 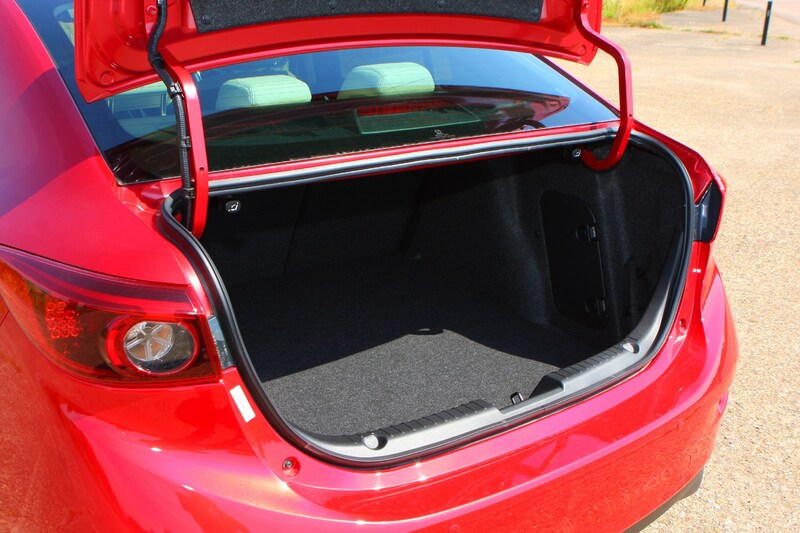 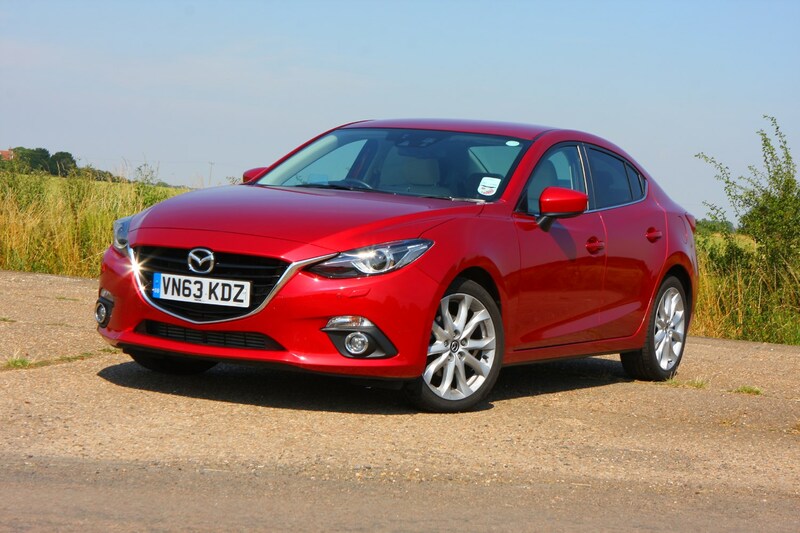 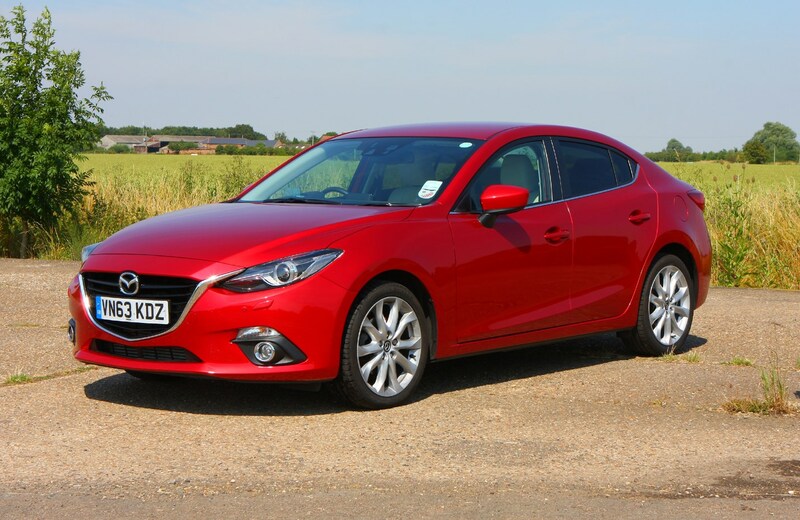 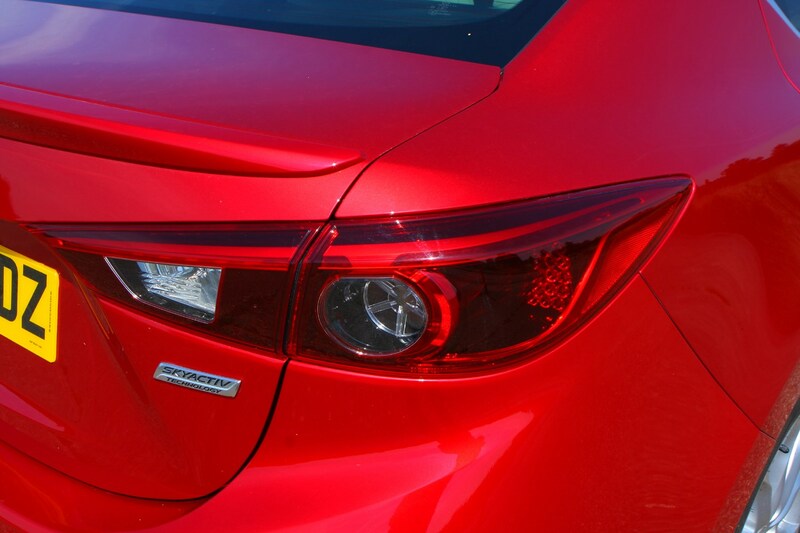 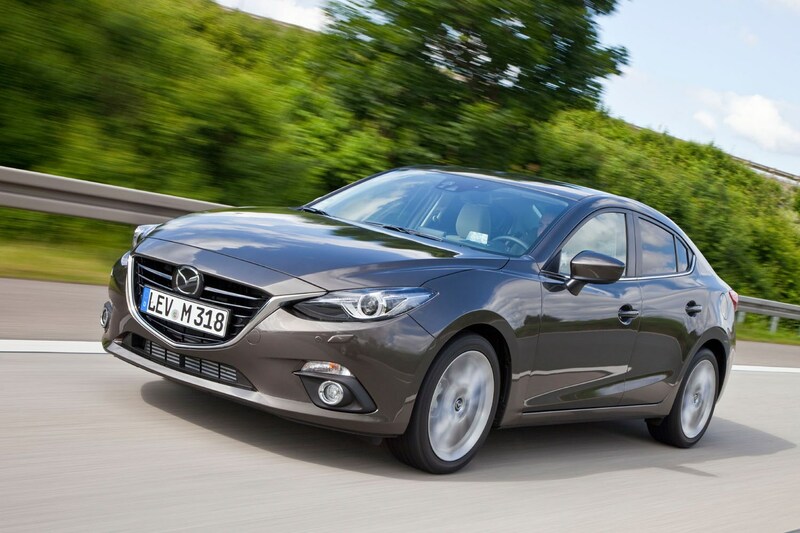 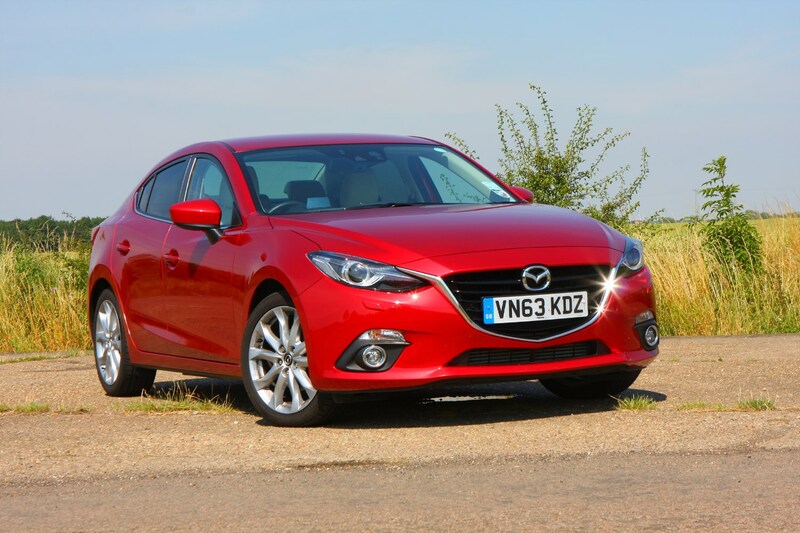 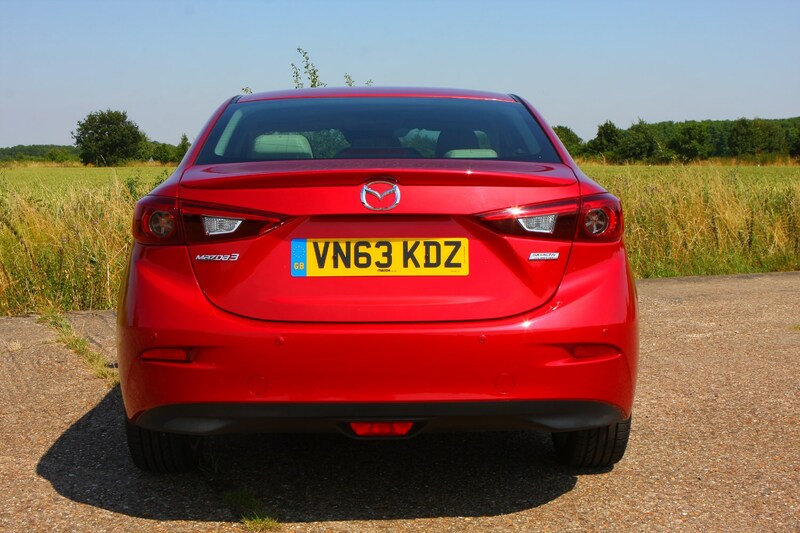 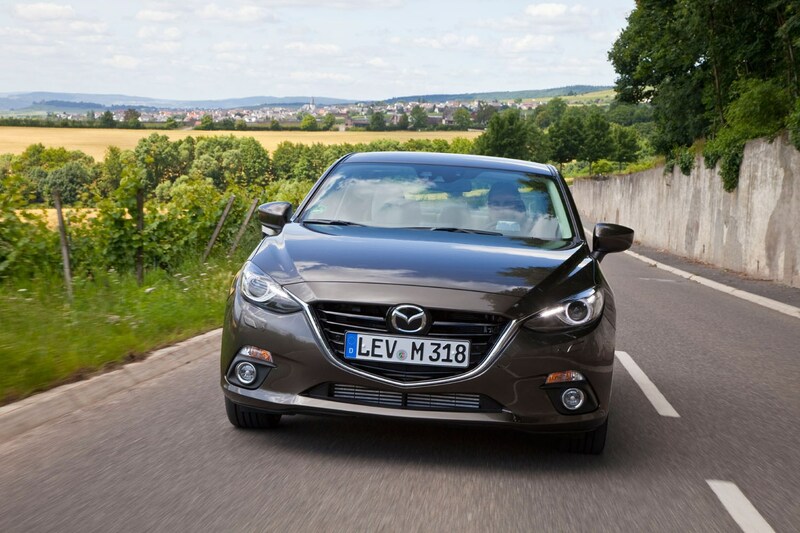 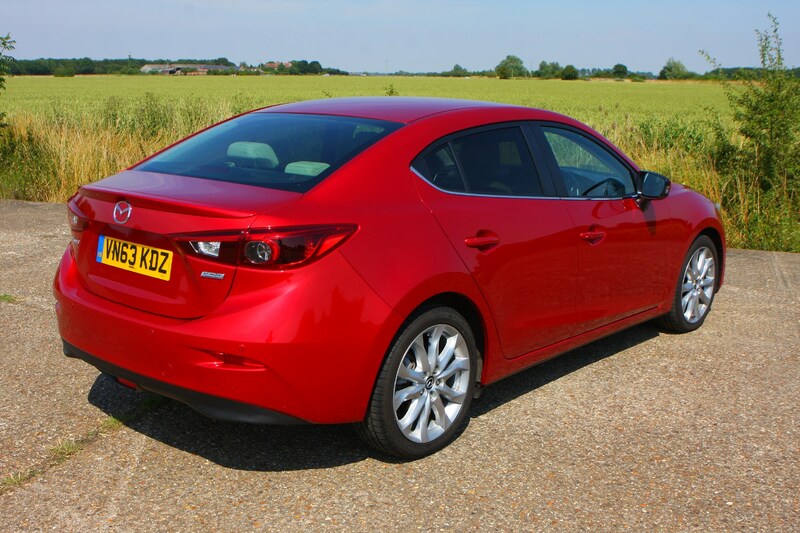 Read the full Mazda 3 Fastback review to find out how we rate this distinctive compact saloon.